Comedian/author/speaker, Susan Stewart, delivers a unique combination of comedy and inspiration to remind people how important it is not to take life (and themselves) too seriously and shares ways to meet adversity with a positive outlook, and of course, a sense of humour. Professionally speaking, Susan has taken a winding road. After earning a Theatre Arts degree from the University of Waterloo, Susan moved to Toronto and began performing stand-up comedy. Five years into her comedy career, Susan made the decision to leave the “biz” and get a “real” job which led her to working in a Human Resources department in the Ontario Government. A year into her career as an Organizational Learning and Development Consultant, Susan was asked to write and present a humorous presentation about wellness for an upcoming professional development conference. Susan’s presentation was a smash-hit and as they say, the rest is history. Susan eventually left her HR career to return to the stage full-time and use her comedic powers for good, rather than evil. For the past 10 years, Susan has been helping people see the lighter side of life and harness the powers of a relaxed, positive mindset. A fun-filled program that explores the powerful connection between our mindset and our health! Through hearing Susan’s observations about human nature and typical scenarios surrounding stress, your group will receive key ideas about how and why to see the lighter side of the challenges that unfold at work and in life! 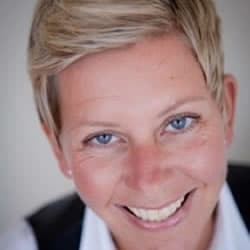 Delivered in her stand-up comedy style, Susan reveals (or reminds those who have forgotten) the key benefits of exuding our true nature (peaceful, light-hearted, playful) when changes and challenges unfold in our professional and personal lives. The "laugh resort" is what Susan calls that moment when someone consciously decides to stop taking everything so darn seriously and chooses to harness the powers of humour. By sharing her story of being a stand-up comic who took herself and her work far too seriously (ahem) and what she has learned along the way, Susan will inspire your group to reduce that unconscious tension that so often prevents us from fostering strong health, experiencing high energy, and reaching our full potential. Seeing Life's Challenges In A New "Light" Full of observational humour about typical human nature, Susan explores the major role our perceptions and thoughts play in our experiences and offers a set of powerful shifts in the way we view and think about the changes and challenges that unfold at work and in life. With a winning combination of comedy and inspiration, this light-hearted program will empower your group to experience “chronic peace” (and all the benefits that come along with it!) no matter what comes their way! If you’re looking to end off your event with a program that’s going to wrap things up on a particularly light note, Susan offers a delightful mixture of comedy and inspiration. After all the thinking is done, Susan will get your group laughing about human nature and the typical challenges we face at work and life. You can take the girl out of stand-up comedy, but….